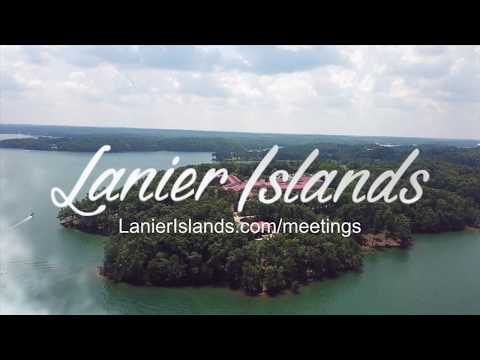 Lanier Islands is an ideal Atlanta meeting hotel for special occasions. With over 23,000 square feet of flexible event space, and less than an hour from Atlanta, Georgia - our hotel offers serene settings, spacious accommodations and professional services to ensure your business meetings at Lanier Islands are successful and enjoyable. From state-of-the-art conference rooms to excursion yachts, our meeting venues are perfect for conferences, reunions, corporate seminars, corporate retreats near Atlanta, and other events. Complete our RFP to submit your basic requirements and see how a program can be designed to meet your goals. Allow our event planners to create the perfect meeting package for the unique needs of your group. Select from meeting spaces that are as unique as your company goals. Let us ferry you around the islands, or to and from the airport. Your chariots await! Our meeting specialists are ready to help you succeed with your company's goals. Let's meet them. Everyone like a little fun - including your staff. Get your point across with trust-building exercises.